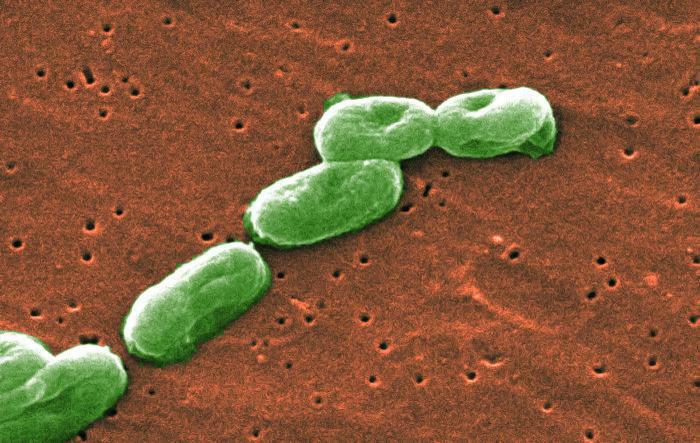 The Burkholderia cepacia complex (Bcc) consists of a group of genetically distinct Gram-negative bacteria that exhibit a number of similar observable physical traits. They are noted for their environmental versatility and ability to cause disease in cystic fibrosis patients and individuals with compromised immune systems. Bcc bacteria colonize a wide range of ecological niches including the plant rhizosphere, soil, river water and urban environments. The plasticity and metabolic adaptability of their genomes is believed to be why these bacteria thrive in such diverse ecosystems. Bcc isolates have also been used in bioremediation studies because of their ability to degrade toxic agents including chlorinated aromatic compounds. In the natural environment, many Bcc species play a role in protecting commercially valuable crops against fungal infections. Since they are opportunistic pathogens, Bcc are a concern to cystic fibrosis patients. They often colonize the lungs and are associated with a decrease in long-term survival. In addition, a small proportion of cystic fibrosis patients infected with Bcc strains will also develop "cepacia syndrome", that leads to an acute clinical decline which is often fatal. Other Burkholderia species, including B. pseudomallei do not belong to the Bcc, however B. pseudomallei is of significant interest to researchers since it causes melioidosis in humans and animals and is considered a Category B Priority Pathogen for bioterrorism. The Cystic Fibrosis Foundation has put together a list of FAQs for people interested in learning more about Burkholderia cepacia complex and how it relates to people with CF. The BC Children's Hospital also provides a list of FAQs about the Burkholderia cepacia complex. Lipuma JJ. (2005). Curr Opin Pulm Med.Nov;11(6):528-33. (Photo Credit: Janice Haney Carr).